Lights! Camera! 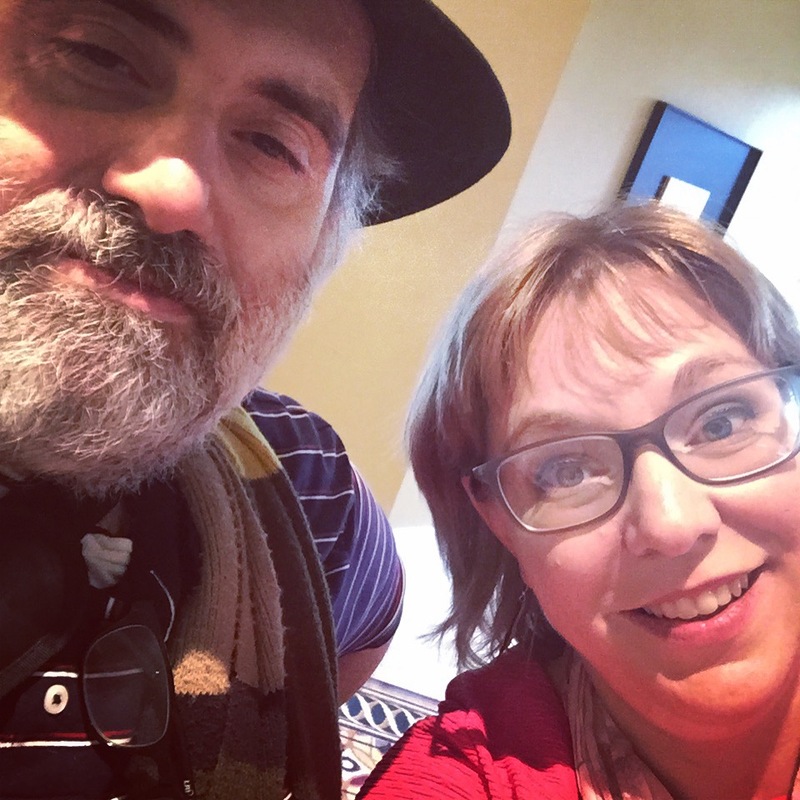 Seven Quick Takes with Kelly over at This Ain’t the Lyceum! Don’t you forget to post your selfies on all over the darned place: #CMNSelfie2015. Take a special look at all the contests involved. The easiest perhaps is the Paper Pope Selfie Contest sponsored by Franciscan Media! Here are my pics from the CMN Selfie Scavenger Hunt! Yes, there will be more than 7. You’ll be okay with that, right? 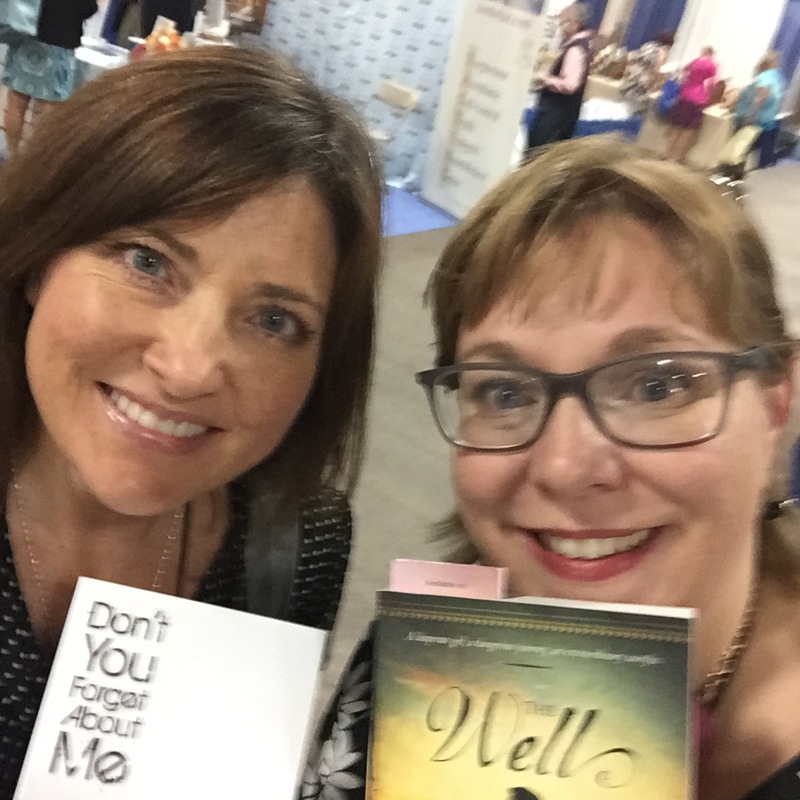 Here I am buying by trading with Stephanie Landsem: her The Well for my Don’t You Forget About Me. The Well comes HIGHLY recommended, so go do the thing. This was taken in the parking lot right before lipstick heading to Jersey. 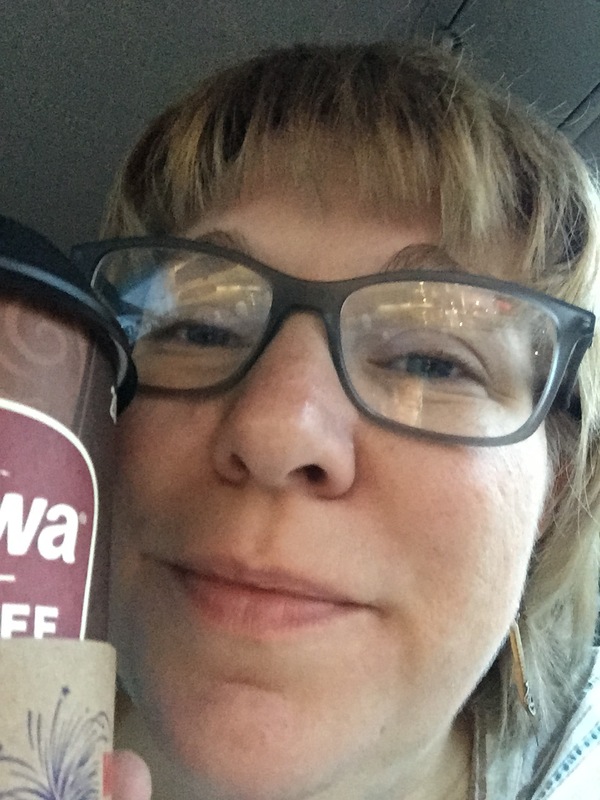 Wawa Coffee > Sheetz ANYTHING. 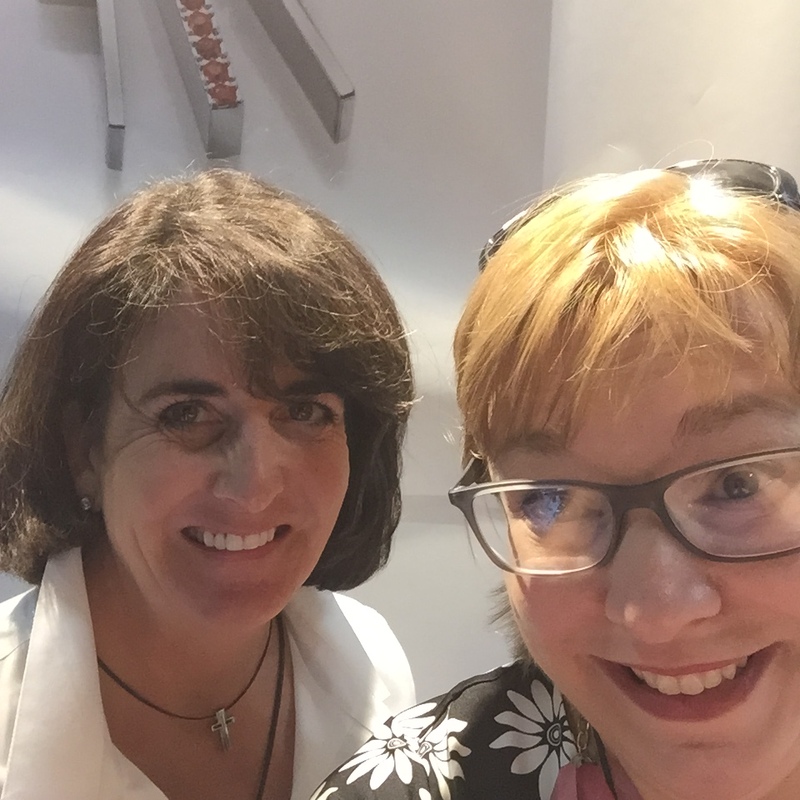 They say you never forget your first Doctor, so imagine my absolute delight when I discovered that my first Doctor was at the CMN Trade Show! He’s not going by John Smith, though. His current alias is Peter Ingemi, aka Da Tech Guy. He does all sorts of radio and media stuff. He interviewed a number of folks at the show, including Ellen Gable, already up. More are coming, including Carolyn Astfalk and myself. Anyway, John Smith, Da Tech Guy is a good egg, all around nice guy. This nice, friendly Cistercian and his mom were kind enough to pose with me. Is it just me, or does he look old enough to still need training wheels? 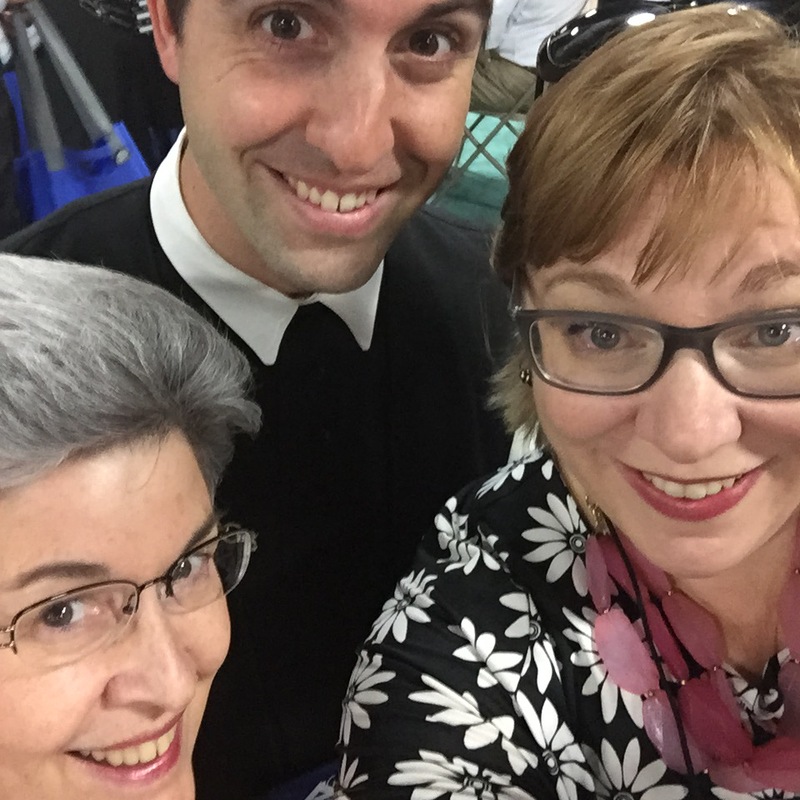 Seriously, though, love the hope borne through all these young vocations to the religious life… and the faithful moms and dads who point the way. 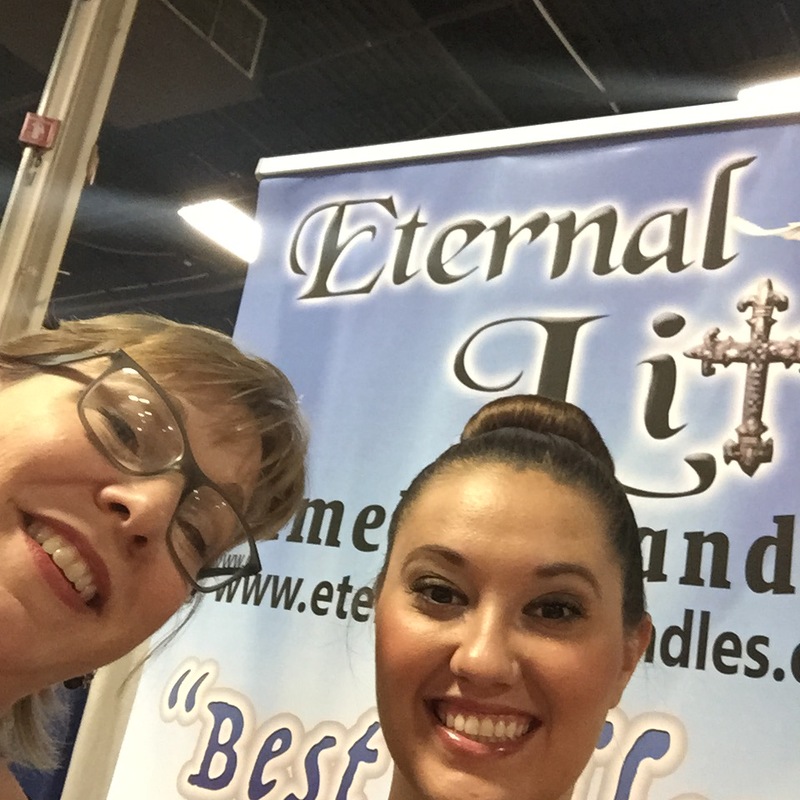 Here I am with Coleen Rossi, the owner of Trinity Cross Collection jewelry. The design of these charms, earrings and more are to honor to Trinity as well as the suffering Christ endured on the Cross. Whenever you move, the necklace gives a gentle ring, reminding you of all the Trinity is and does and ever will be. 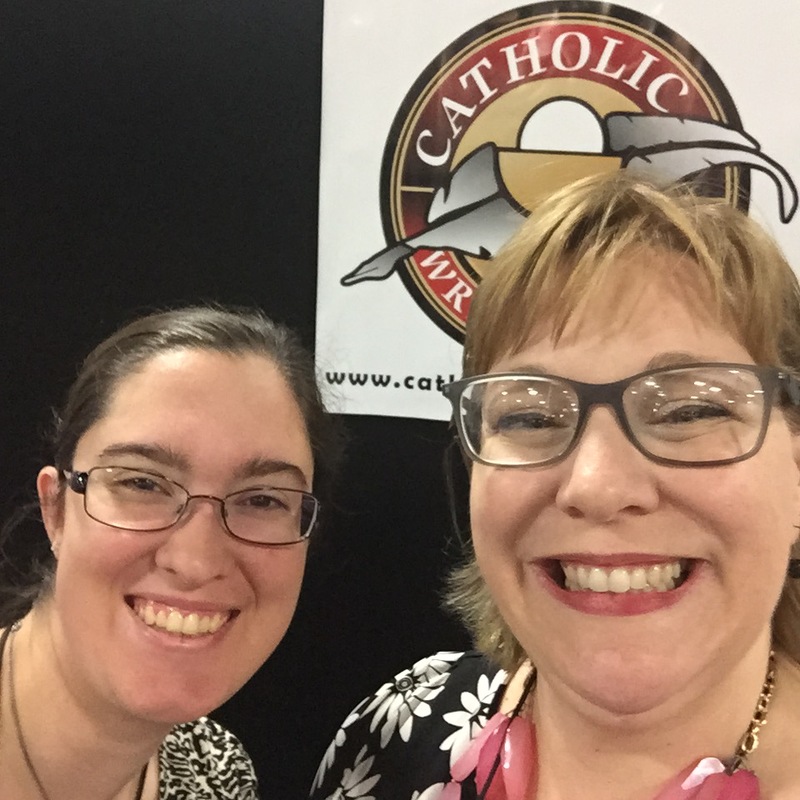 Here I am with Rebecca, the CWG conference volunteer coordinator. You can’t tell by this picture, but she’s also taller than I am. This makes me very happy. It also makes me happy that she’ll be hanging out a shingle for editing services, so look for her info showing up here at Tomato Pie in short order. Yeah, ignore my expression here. In fact, ignore my expression in most of these. Anyway, this fine gentleman is Mark Nelson of Nelson Fine Arts & Gifts out of Steubenville. I believe they distribute Catholic To The Max shirts and all other manner of goodness. Fr. 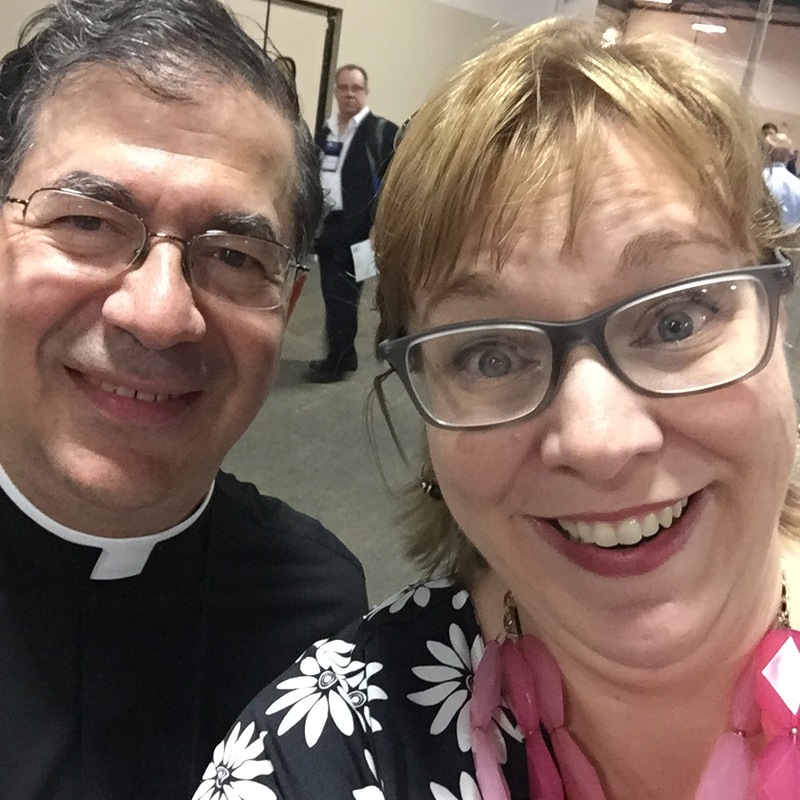 Frank Pavone of Priests for Life let me catch him in the middle of eating an ice cream bar! Now that’s generosity. Eternal Lite Flameless Candles was giving out Krackel bars. AKA Flat Francis. Thumbs up, Papa. Thumbs Up. 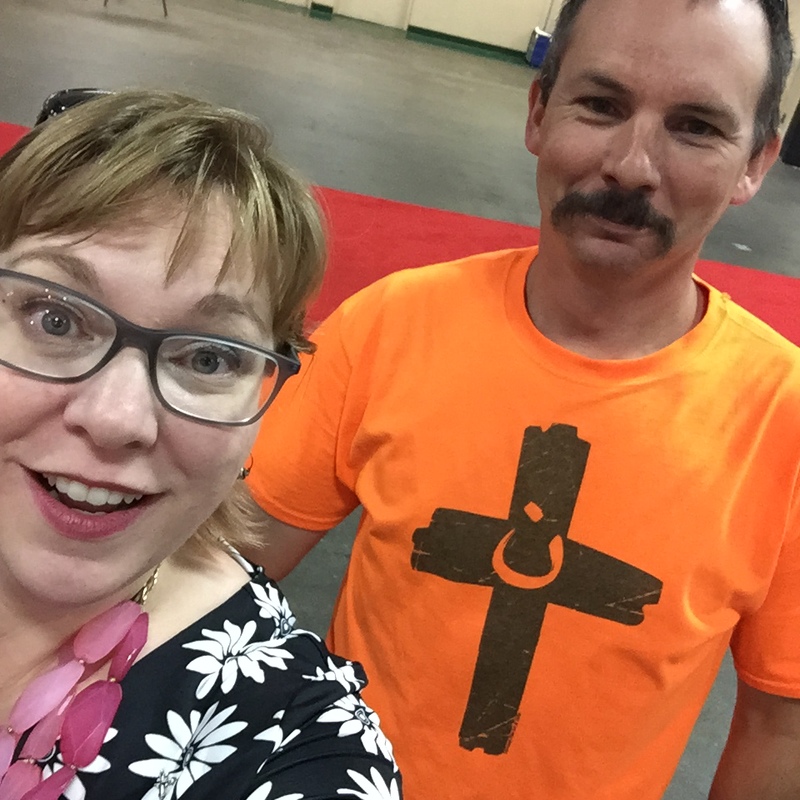 PS: Don’t you forget to post your selfies on all over the darned place: #CMNSelfie2015. Take a special look at all the contests involved. 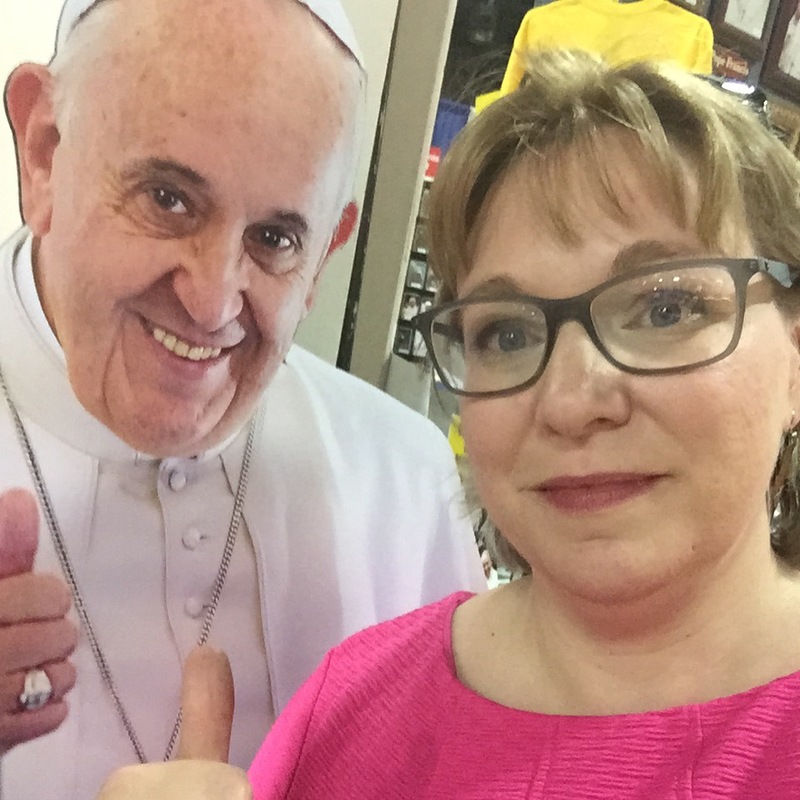 The easiest perhaps is the Paper Pope Selfie Contest sponsored by Franciscan Media!